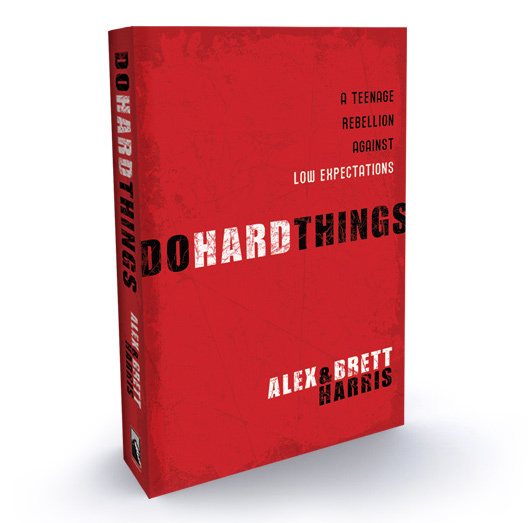 So, I just finished the book "Do Hard Things" written by Alex and Brett Harris. I can't recommend this book enough. (But before I go there: Alex and Brett are brothers of Josh Harris - "I kissed dating goodbye" and their website therebelution.com has over 15 million hits). Do Hard Things is written by teenagers for teenagers and it is well-written, funny, biblical, insightful and challenging (even for non-teenagers!) If you have a teenager in your life, whether a son or daughter, nephew or niece, neighbor or friend, run, don't walk, to buy this book! I really think this book will be a catalyst for the next generation, or at least I hope it will. I feel like it is my message to the teens told in a better way that I could ever say it. But, before they read it, I encourage you to read it. Then, let it be a sparking point for conversation. And if you want to hear the behind the scenes story from their dad, Gregg Harris, you can check it out here on my asermonaday.com website. The last 15 minutes, especially, of this talk helped me understand what makes kids that think and write and live the way they are living.